The authorities pointed out the small corrals and the appearance that the animals were not getting enough food and water. They believe that Santa is obviously an animal lover, but may have just taken on more animals than he could properly take care of. All of the animals are being fostered at other homes in the area until the investigation is complete. Lee has been playing Santa Claus in the Denver area for more than 30 years when he made the decision to move away from the standard 9 to 5 rat race. His real Santa beard really helps sell the show. Playing Santa has really changed his life. He claims that it has made him a more caring and compassionate individual. Perhaps it was this caring and compassion that led him to this point in his life. Lee is broken-hearted over the loss of his animals and has hired an attorney to help him with his case. 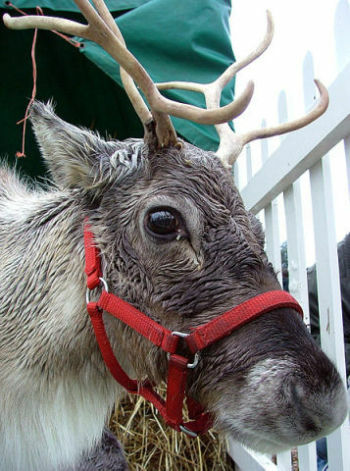 Santa will be in court on July 25, 2012, to answer to the charges against him. Rudolph could not be reached for comment. Perhaps Santa shouldn't have left the elves at the Pole this summer.